Another nerdy thing I’ve had a long relationship with: Star Trek . But I confess that I turned my back on Trek for several years after the pineapple thing. How to talk about this succinctly? In the lead up to the Enterprise prequel series, word spread through the Trek convention circuit that Enterprise was going to be the first Trek incarnation with a recurring queer character. Many folks I knew in Trek fandom pointed to Malcolm Reed as the yet-to-be-revealed-as-queer character. After eleven episodes, the show went on mid-season hiatus, and a new rumour circulated: Paramount got cold feet about including a queer character, and so there wouldn’t be LGBTQ representation on Enterprise . When the show returned from hiatus, the first episode was “Silent Enemy”, in which the B-plot involves Hoshi trying to learn more about Reed because Archer wants to do something nice for him on his birthday. But just about everyone says the same thing: Reed is very private and nobody has any idea of what “a nice surprise” for Reed might look like. In my opinion, this episode feels like it’s a badly re-written Reed-coming-out story. But by the end, we don’t learn that Reed is gay; instead we learn that Reed secretly likes pineapple. 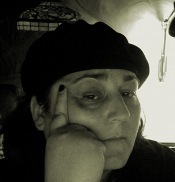 So, yeah, I was angry about that for years. Specifically, I was angry at Star Trek’s failure to include LGBTQ characters in a show that purports to be progressive and which continues to hype how boundary-breaking it has been. I was still angry back in 2009, when the J.J. Abrams film came out; I don’t really like the Abrams films, so that didn’t improve my opinion of the franchise. But watching Netflix reruns has reawakened some of the soft spot I had for the show. 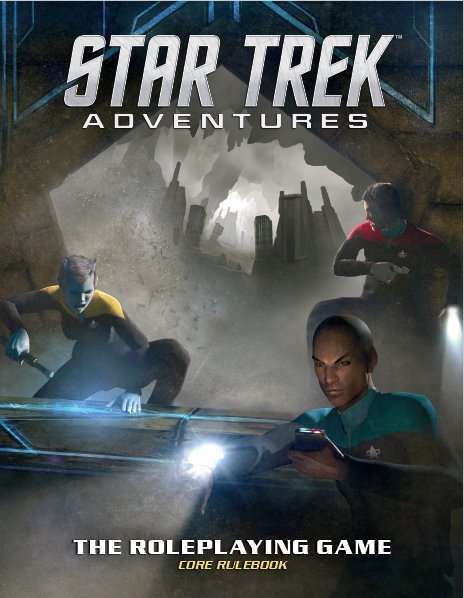 Okay, so all of that is background to talk about the new Star Trek Adventures RPG. I don’t get many opportunities to play RPGs any more (and it doesn’t help that I’m not a fan of Tolkien-esque fantasy genres, which are easily the most commonly-played games). But I do buy games now and then, and imagine, a little bit, what running a particular game might be like. In late 2017, I bought the rules for the latest incarnation of a Star Trek RPG. I owned the FASA game, back in the 80s. In fact, I still have several books from that game. But I skipped Last Unicorn and Decipher. 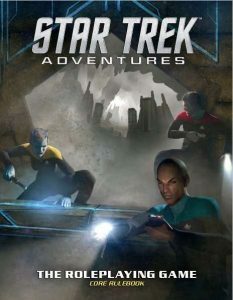 Modiphius is the latest RPG company to have a license to sell a Star Trek game. And their game is pretty good; it has some mechanics that really emphasize the trekkiness of the setting. The products are very attractive: the art is top-notch, with original digital art, typically in a oil-like realistic style. But the rules are presented in a way that’s a tiny bit hard to follow. So I thought: this is the YouTube generation. I bet somebody has a YouTube video where they talk about how to make sense of the rules. So off to YouTube I went. And that’s how I discovered Shield of Tomorrow . Shield of Tomorrow basically presents filmed RPG game sessions of a group of players and a GM who are playing Star Trek Adventures . There are some nice production values: they’re not in someone’s basement — they’re being filmed in a studio, with Trek-like sets and costumes, but they don’t overdo it (for example, the Andorian doctor wears blue lipstick and, in later episodes, blue deely-bopper-like antennae, but doesn’t wear full blue makeup). Like most RPG games, the story sometimes plods a bit, and there’s a whole swath of emotional experiences that the show produces: it’s schlocky, and touching, and funny, and euphoric, and so forth. Here’s a thing I didn’t expect to value as much as I’ve learned that I do, in fact, value: the show has queer content. Most notably, non-binary player Sam de Leve plays the non-binary Trill First Officer Junil Rue. And they’re also riding around in a ship called the USS Sally Ride, named after the first-known LGBT astronaut. The other players and GM are pretty consistent about getting Rue’s (and Sam’s) pronouns right (they/them), and it’s never a big deal. But it’s representation. And it has weirdly filled empty areas in my soul that I didn’t really know I had. So, as they say, headcannon accepted. I completely accept that the USS Sally Ride, commanded by Captain Raphael Martinez, was flying around, just off screen, in the latter seasons of DS9. That sounds like a v. cool game/show. FWIW, 50%+ of any RPG group I’ve ever been part of has been female. Probably wouldn’t be interested otherwise; so many nerd dudes turn out to be douches that I need there to be women in the group. When I was growing up, RPG was a “boy thing” and I was never allowed in, until Vampire came along when I was a teenager and all the cool goths were playing. I am pleased to say that the Kids Today do not attach any sort of gender markers to RPG. I just love when “fandom” decides that women and girls aren’t interested in RPGs, comics, and the like. All three of my AFAB-kids have been or still are into comics, and RPGs. Middle Spawn was a WOW-gamer for years, I think that’s how she actually met her now-husband. The eldest and the Youngest (35 & 30) read more comics than I do anymore (I kind of lost the desire for it after having to sell my entire collection in order to finance our move from California to Washington), and they have an RPG that they created amongst the three of them, that expanded to include many of their (AFAB) friends, and which is still ongoing, some 20 years down the road. But Star Trek – all of the kids in my neighborhood growing up RPd as characters from the show. Me, being the weird one out, I got to be Uhuru AND Rand. Now, off to YouTube to check out this new series. Thanks!